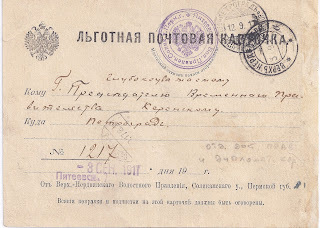 It's September 8th 1917 in Piteevo village - a long way from Petrograd in the Solikamsk uezd of Perm guberniya. 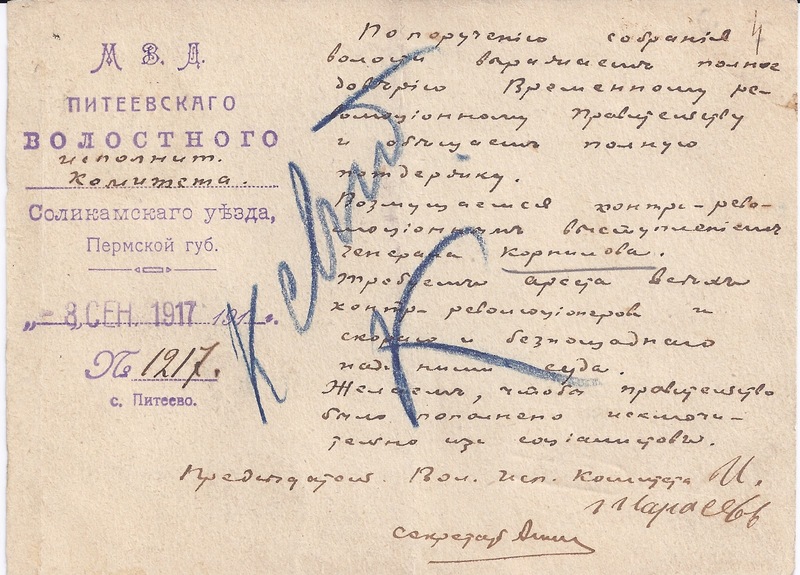 The village Volost executive committee has met and has decided to write to Kerensky himself, the Minister - President of the Provisional Government in Petrograd. Over the signature of their Chairman, I. Sharayev, they express complete confidence in the Provisional Revolutionary Government and swear support. The counter-revolutionary activity of General Kornilov [ the "Kornilov Plot" of August 1917] has made them indignant and they demand the arrest of all counter-revolutionaries and their prompt and merciless judgement. They want to see the Government reinforced - and only with socialists. 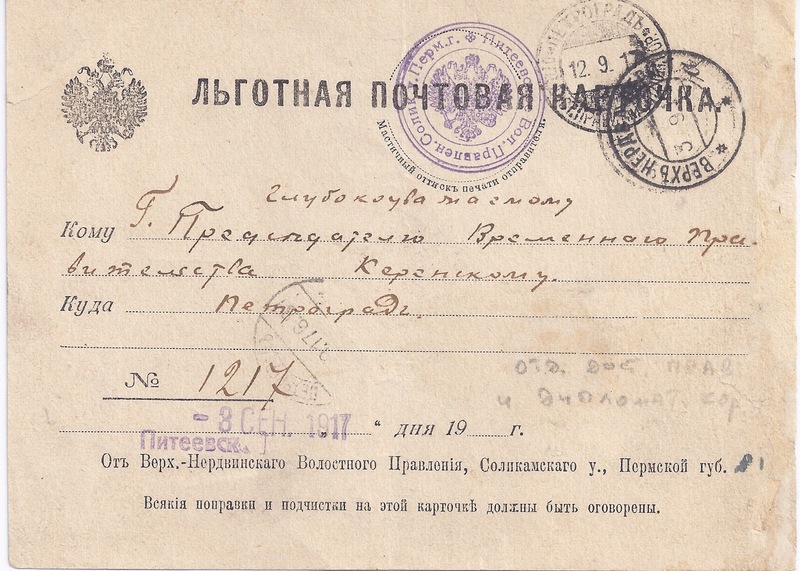 Their Resolution reached Petrograd on 10 9 17 and was passed to the special branch for handling government mail - it's distinctive cancellation appears at the top of the card, dated 12 9 17. The blue crayon on the reverse is typical of endorsements often seen on official correspondence but what does the "K ... K" mean? 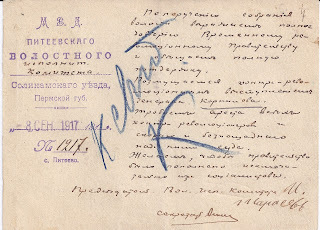 It could be a note made by Kerensky himself and initialled but perhaps it is an official's note meaning something like "For the information of K [erensky]" . Does anyone have an answer? I think the 'K ... K' stand for 'К сведению K(erenski)', which rougly translates either as: 'for the information of Kerenski' or 'please check - K'.